After a resounding win in the first ODI, Australia will look to sustain their winning momentum as they face the Pakistanis in the second ODI in Sharjah on Sunday. In spite of a depleted side taking to the field for the 'hosts', Pakistan still managed to put up a strong show against a near full-strength Australia side, indicating their bench strength for the World Cup 2019. 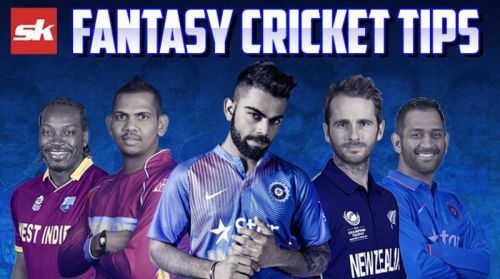 While another high-scoring game is on the cards at the Sharjah Cricket Association Stadium, here are a few tips to help you pick your Dream11 team. Shoaib Malik (C), Shan Masood, Imam-ul-Haq, Haris Sohail, Faheem Ashraf, Imad Wasim, Mohammad Rizwan, Abid Ali, Saad Ali, Umar Akmal, Junaid Khan, Yasir Shah, Usman Shinwari, Mohammad Amir, Mohammad Abbas and Mohammad Hasnain. After a good show in the previous ODI with the bat, Pakistan would be tempted to field the same side although a few tweaks to the bowling unit are in order with Mohammad Amir possibly making way for Usman Khan Shinwari or Junaid Khan. A better performance is expected from Yasir Shah after proving ineffective against Finch and Marsh while Umar Akmal's cameo bodes well in the long run for Pakistan. No changes are expected for Australia with Pat Cummins set to get an extended break to recover from a long cricketing summer. Shaun Marsh's return to form should keep Ashton Turner out of the side while openers Aaron Finch and Usman Khawaja look set for another productive outing on Sunday. Possible XI: Khawaja, Finch(C), Marsh, Maxwell, Stoinis, Handscomb, Carey(WK), Coulter-Nile, Zampa, Lyon and Jhye/Kane Richardson. Sharjah should provide another good pitch to bat on. The middle phase is going to be the differential in the context of the game while variations in pace are key for the faster bowlers. Wicket-keeper: With both keepers batting deep down the order, Mohammad Rizwan is the preferred choice for this match. He has been a consistent performer for the Pakistan A side and should justify his selection with some runs. Batsmen: Aaron Finch looked in fine touch in the first ODI with a scintillating hundred. The likes of Imam-ul-Haq and Umar Akmal are also viable options for the fantasy team. Shaun Marsh and Peter Handscomb are good players of spin and could prove their worth by adding valuable points to your fantasy tally. All-rounders: Glenn Maxwell and Imad Wasim are safe options to go for. Both of them are capable of picking a wicket or two and also possess big-hitting ability. Marcus Stoinis is also an alternative who could slot in for Maxwell in case a more established all-rounder is required. Bowlers: Adam Zampa and Mohammad Abbas are sure to yield a wicket or two with both of them in good form. Along with the aforementioned duo, the likes of Nathan Lyon, Nathan Coulter-Nile and Yasir Shah are more than capable options with their experience coming in handy. Captain: Imam-ul-Haq missed out in the first ODI after a good start. He should be backed to score a heap of runs, while the likes of Glenn Maxwell and Shaun Marsh are also viable candidates for captaincy.